Downtown Lisle corner of Burlington and Main. 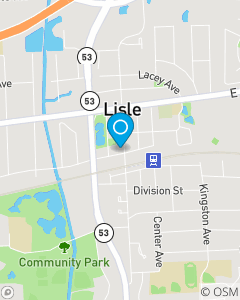 Conveniently located by the Lisle train station. The mission of our office is to help our policyholders manage the risks of everyday life and to be the first choice for all of your Chicago insurance needs. We focus on Auto Insurance, Home Insurance, and Life Insurance in Lisle and Naperville as well as throughout the Chicagoland, including; Dupage, Cook, Will, and Kane County.